There is a seeming endless variety of gifts discernment materials available for use in faith communities. What you use and how you use should be entirely based upon your context, how much time you have for assessments, and how you are going to be administering them. You can choose to use one or two for everyone or you can run through a variety. We suggest you have some fun with this. People generally enjoy self-discovery. Try to combine a few active assessments with some introspective ones. 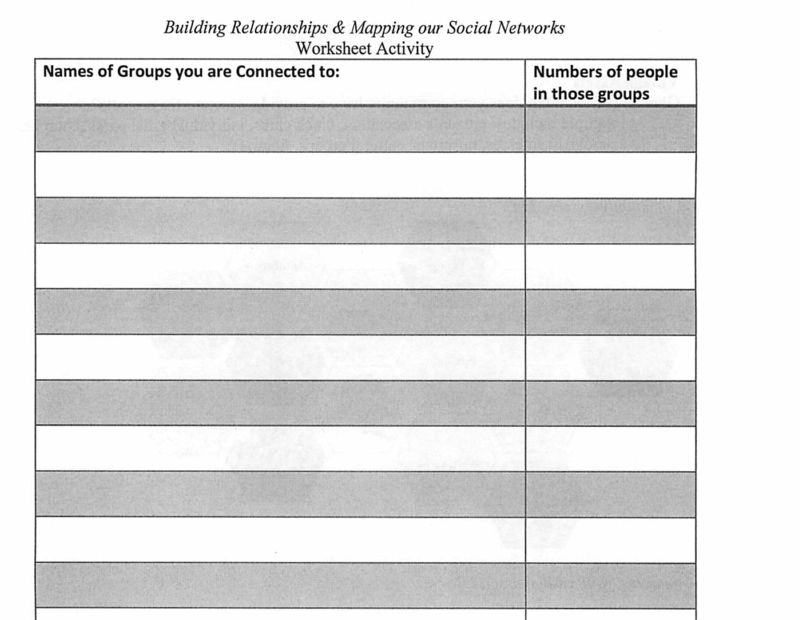 Consider even assigning “homework” by creating an assessment for participants to complete before they attend a workshop. Invite people to gather into pairs and have a Learning Conversation. What 2 gifts, talents or skills do you have that make you a valuable family member, community resident, and friend? If you can do anything in the world, and know you can’t fail, what would you choose to do? What 2 skills make you especially good at your paid or volunteer work? What 2 organizations are most effective in this community and why? What is something that you love to do so much that you get lost in it for hours without getting bored? What associations and institutions do you have strong relationships with? What would your possible roles be? 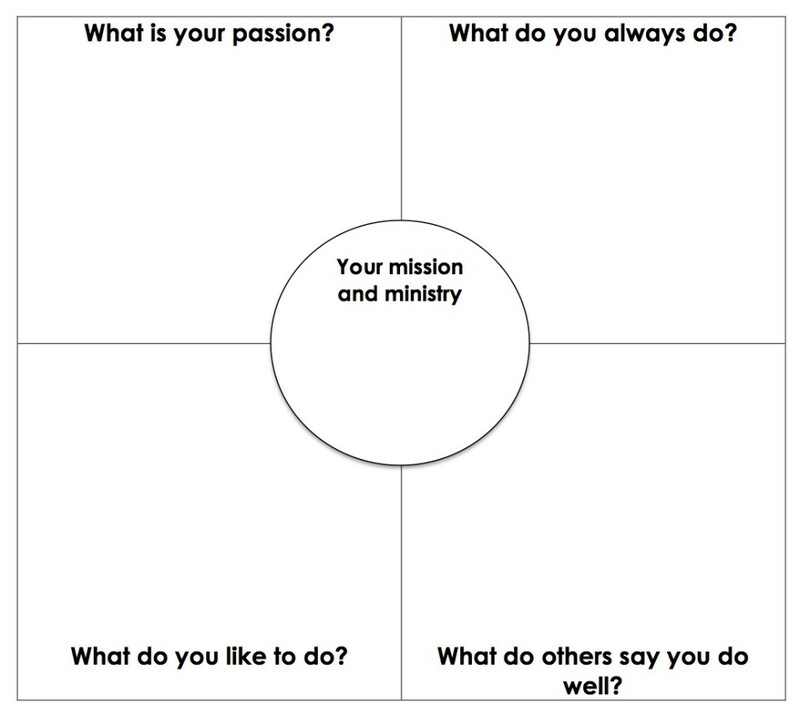 Use this simple matrix to help you think about where God might be calling you into ministry and mission.